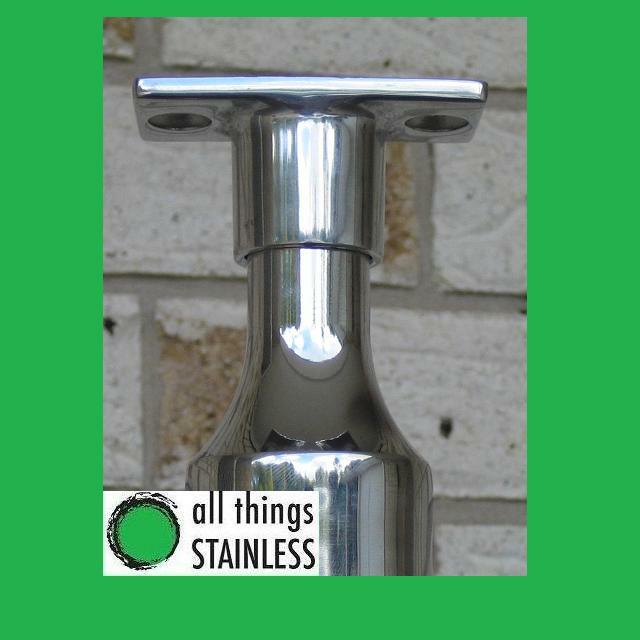 There are many combinations of fittings that can be used together to make a Stainless Handrail Post. 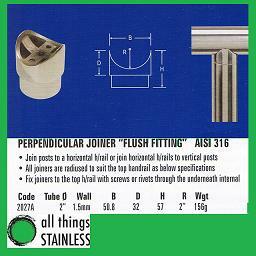 We have grouped some of the most popular and easiest to use fittings. 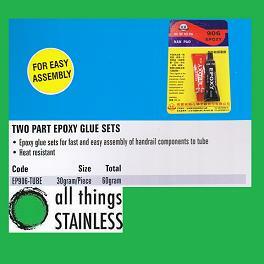 A DIY post will usually have 3 main components as listed below. Your Post will usually be for the centre, end or corner. 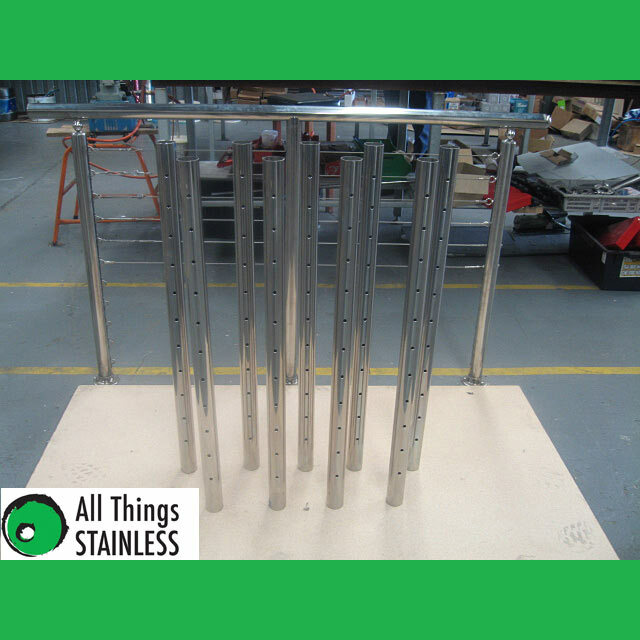 Centre Posts: You could try using a blank peice of tube and making your centre post from scratch however Stainless Steel Tube is dificult to drill without slipping or scratching it especially if you do not have the correct tools. 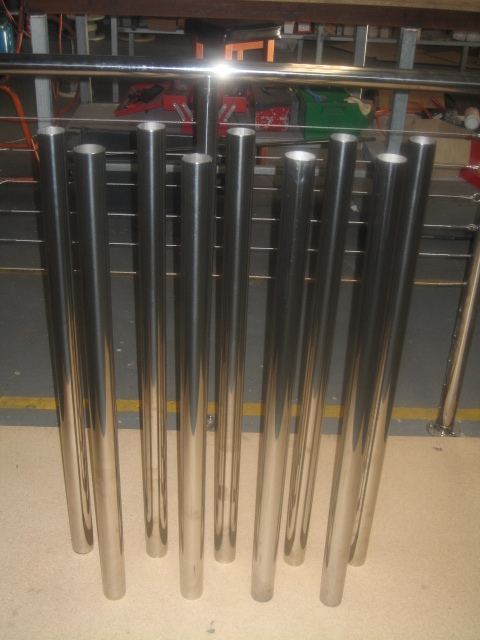 We recommend buying our pre-drilled tube that can be drilled to your requirements and is usually 11 holes for 80mm spacing and 15 holes for 60mm spacing. End Posts: Again you could try using blank tube and fastening saddles to your posts yourself however it is very difficult to not only drill the tube but also get the saddles in a straight line. 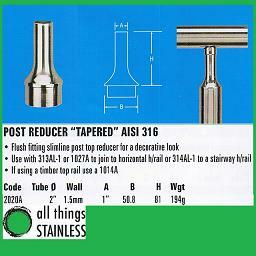 We recommend using our end post tube which has been drilled and Blind Rivets have been inserted. 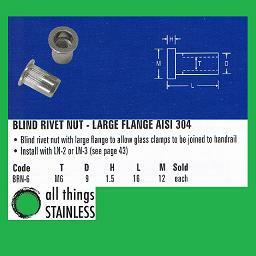 We then use 6mm Eye Screws with a locking nut to fasten your wires to. 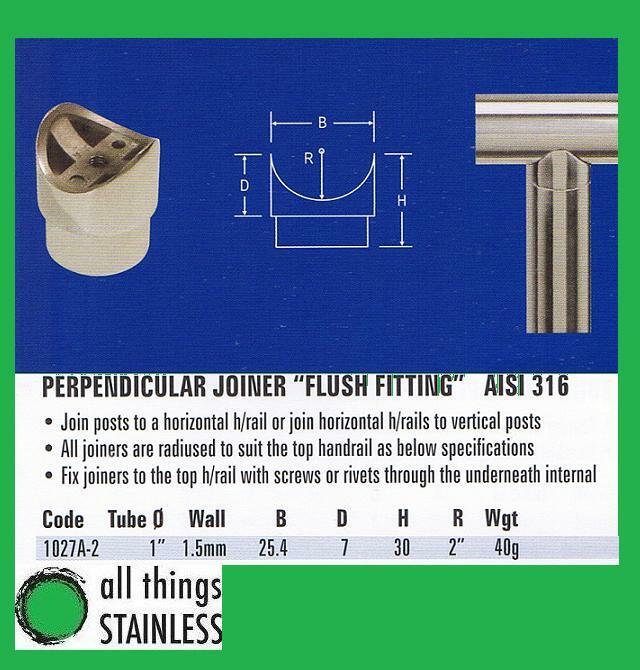 Corner Posts: Our corner post tube uses the same fittings as or end posts however has the fittings for the wire to attach to on two sides. 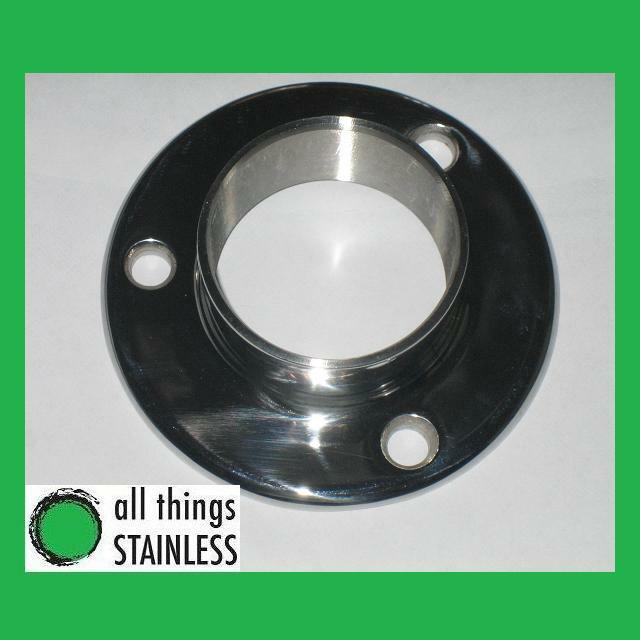 The angle the fittings are installed can be made to your specifications. It can be 90 Degrees for a right angle corner or a custom angle if required. 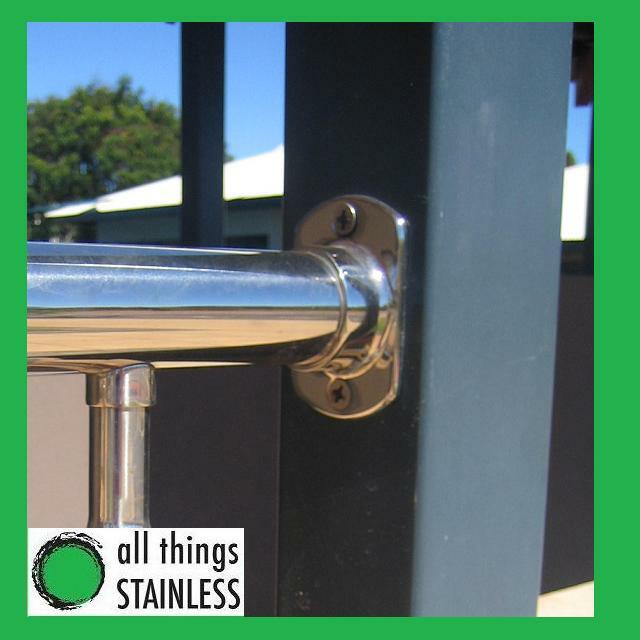 The top of your post will be determined by the material being used for your handrail. 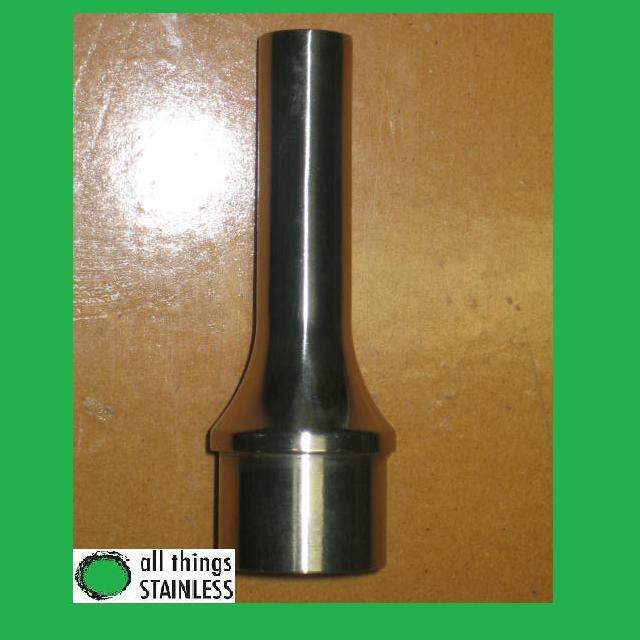 This is usually stainless tube or timber. If using stainless tube there are several options available. You can use a 2 Inch perpendicular joiner to connect the post directly to the handrail. You can use a post reducer with a 1 Inch perpendicular joiner . 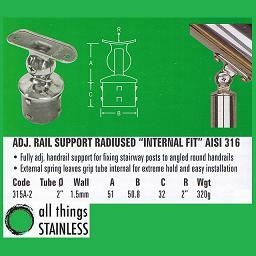 You can use an adjustable support (either internal or external fit) that has a radius that is then pop-riveted to the under side of the handrail. 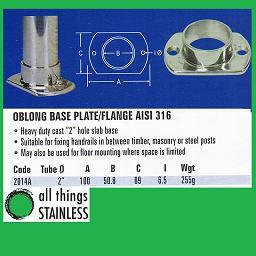 If using a Timber or flat handrail you can use an Oblong flange glued to the post. You can use a Adjustable Support (either internal or external fit) that has a flat top and is screwed to the underside of the handrail. 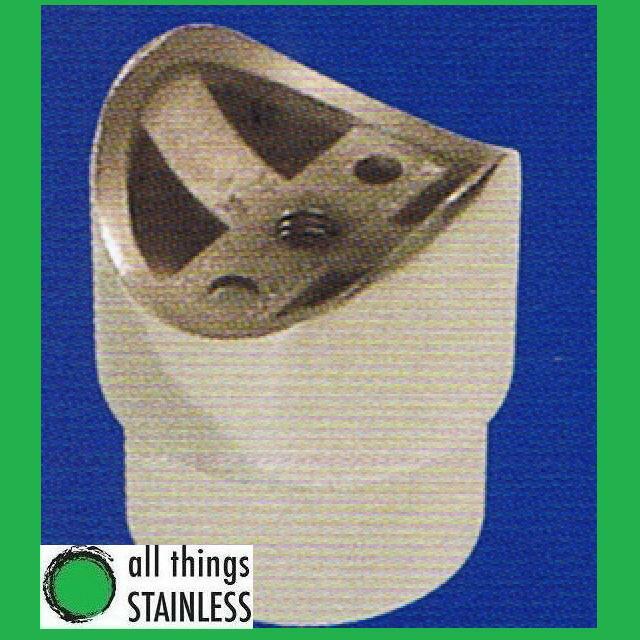 You can also use a post reducer with adjustable tee . 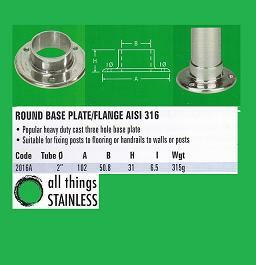 To eliminate the need for welding we recommend using either a Round Base Plate/Flange (glued to the post) or an Adjustable Heavy Duty Base Plate . Below are all of the items you will need to make your own posts. Used to connect 1" tube to 2" tube. Can also be used with Post reducer. Used with 2 Inch tube. 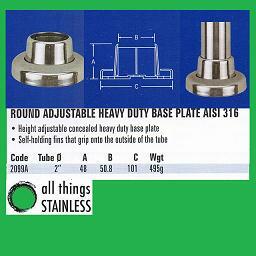 Can be Welded, Pop Riveted or Gluded to the tube. 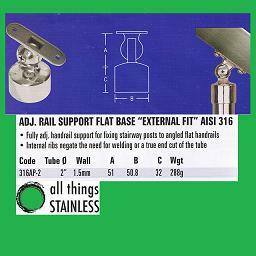 Can be used at the base or top of a post or at the ends of a handrail. 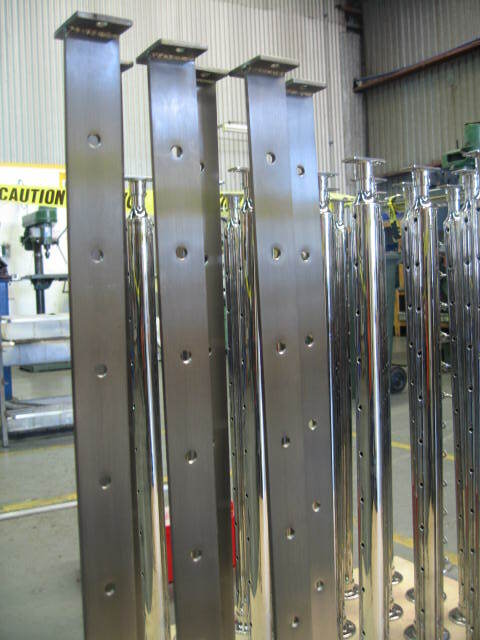 Can be welded or pop-riveted to the tube. 2" Adjustable Rail Support Radiused "Internal Fit"
1.5" Adjustable Rail Support Flat Base "Internal Fit"
2" Adj. 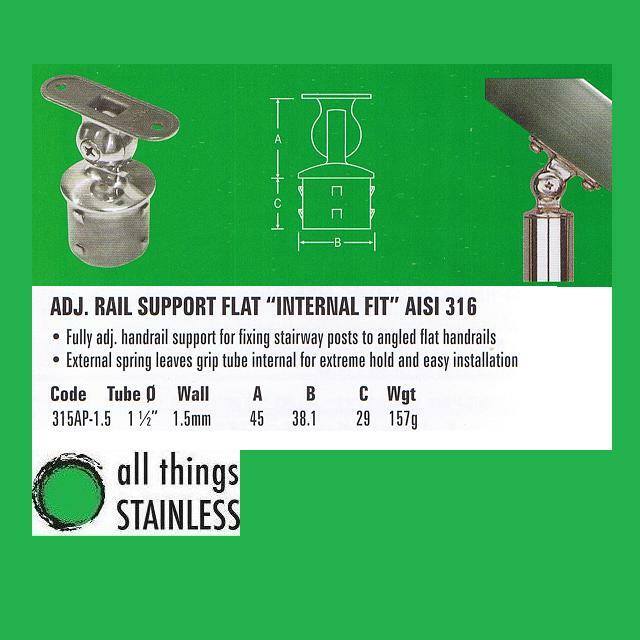 Rail Support Flat Base "Internal Fit"
2" Adj. 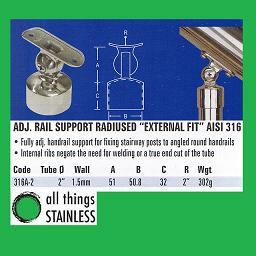 Rail Support Radiused "External Fit"
2" Adj. 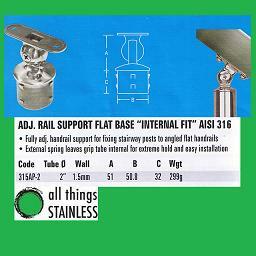 Rail Support Flat Base "External Fit"